Every hotel needs to give its guests the generous opportunity to part with a little bit of extra cash before they leave and, just as you would expect, Disney is a proven master of this art. 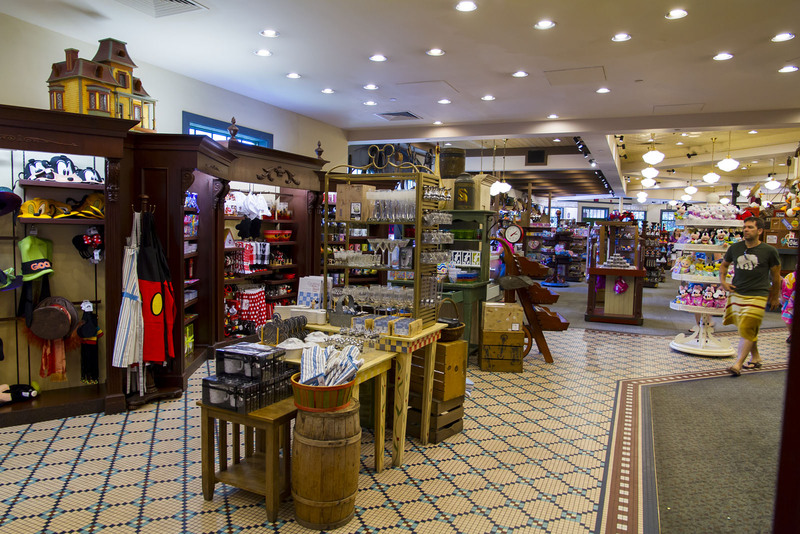 Just off the main lobby at Port Orleans Riverside you will find Fulton’s General Store, an attractive, spacious and well-stocked Disney gift shop with plenty of Disney theming and character figures in abundance. While obviously not able to carry as wide a range of products as the larger theme park stores or the World of Disney in Disney Springs, Fulton’s is still able to offer a great selection of the latest Walt Disney World merchandise, including Disney apparel for both adults and children, toys, confectionery and homeware, plus a few collectible items such as watches and a small selection of pin badges. The store also sells a wide range of other vaca­tion essen­tials such as medi­cines, sun cream, news­papers, maga­zines, postage stamps, bottled drinks (including alcohol) and various grocery sundries (water, milk, bread, breakfast cereals, snacks, etc). As Port Orleans is a regular resort hotel, rather a vacation club property, and as such has no in-room food preparation facilities, you won't find any ready-meals or the wider range of food items that you might expect to see at one of the Disney Vacation Club Resort stores. 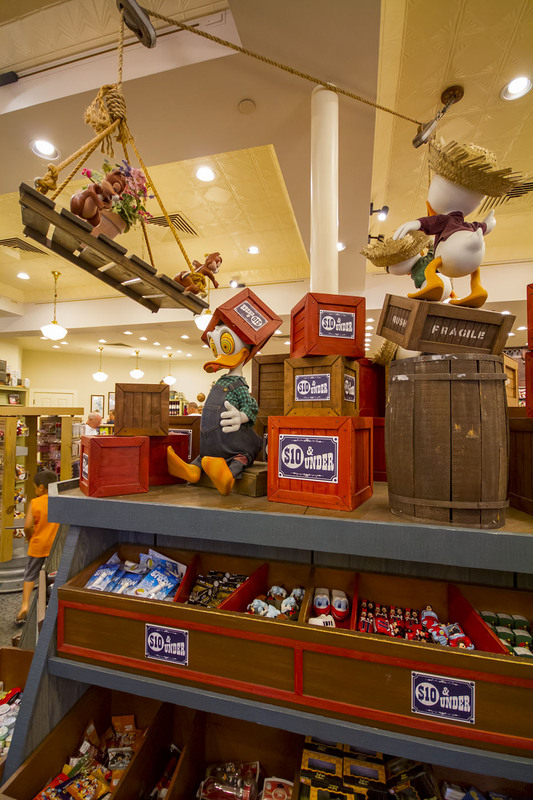 Recently, following a much-lamented absence of more than five years, resort-specific souvenir merchandise is finally starting to make a comeback at the Port Orleans resort stores. Newly arrived products include mugs, glasses, tumblers, luggage tags, throw rugs, baseball caps, pin badges, ceramic ornaments, artwork, and more. For more information, including photos and prices, please see the Resort-Specific Merchandise page. 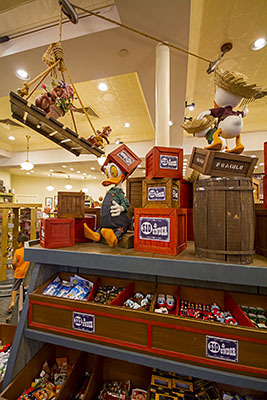 Fulton’s is also the place to visit to collect any in-park shopping which has been shipped back to your hotel. Your purchases will be available to pick up at the store any time after 1pm the following day. Take your receipt paperwork to the counter at the back of the store, and please note that you may be asked for ID when you sign to acknowledge collection. There is a second, slightly smaller, gift shop named Jackson Square Gifts & Desires located over at Port Orleans French Quarter, although the product range is very similar so it is probably not worth a special visit unless you are headed over in that direction anyway. And if you miss out on anything while you are there, you could try the Walt Disney World Merchandise / Mail Order Department when you get home. Email Merchandise.Guest.Services@DisneyParks.com or call them on 407-352-6369 or 877-560-6477. Fulton’s General Store opening hours: 8am—11pm.